Can I directly message freelancers without creating a "job" first? I'm new to upwork! I'm planning to create a job, but truthfully feel as if I don't have a clear enough idea of my requirements to create it yet. My plan was to directly message a few freelancers that seem like they're what I imagine to be good fits, and ask them about how they would approach my problem so that I can have a clearer idea of what I need when I post the actual job (and of course invite them to apply)! However, it seems as if upwork will only let me message a freelancer if it is an "invite to apply" to an existing job, which I do not have nor do I want to create quite yet. Am I just missing a feature here? Or is this really how upwork forces us to communicate? The description you gave sounds like you want free work, archicture and product design. It is better if you ask Customer Support for help, I think they have a program to help with the hiring process. Alex, you seem like a nice person. But I think you don't fully understand how Upwork works. Thanks for the response. I do want to make sure I get etiquette right here. I have a project in mind but, frankly, no idea how long it should take an experienced freelancer to complete. Is it inappropriate to expect someone to provide an estimate for time-to-completion before making a hiring choice? And of course, if it turns out that this is a far more labor intensive job than I thought, then that may inform changes in my job posting. Alex, what you are asking for is totally fine. You can invite contractors to interview for your job and ask them this question. You can create a public job posting and ask candidates this question as part of the application process or during the interview process. 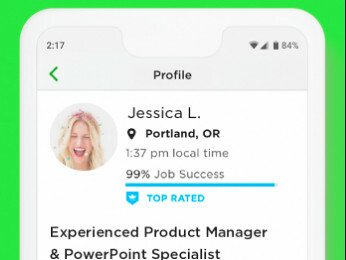 But you need to create a job listing on Upwork. You can't just ask people to answer questions if there is no job listing. If there is no job listing, then you can hire somebody to answer your questions. But there is no way to send questions to strangers. But also keep in mind that it may not be well-received by experienced freelancers who can actually do the job. That is to say, if I see a job post along the lines of "I need a web server setup and I'm not sure what I want: tell me what you would do to provide me a load balanced service for a LAMP-based site with 100K unique users a day, listing all equipment and costs in your estimate," I would not bother pursuing that. Especially when it comes to new clients, the risk-reward outcome for my time spent on applying for that kind of job post just isn't worth it. But in Alex's second question, he posed a specific question, asking for an "estimate for time-to-completion" for a given project. I think that is totally fine, especially if a good project description is provided in the job listing. The question you describe, asking for a plan for implementing a system to meet specific requirements, is a totally different question, and maybe reflects the nature of Alex's original post. But you're right that if a client asked for a detailed project plan as part of a job application, that could be a warning sign. 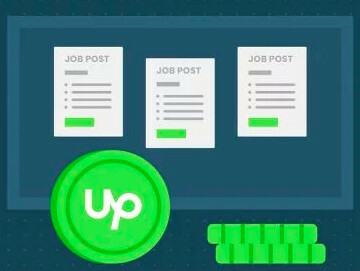 A client in Alex's position would be best served by hiring an Upwork contractor to help write a project plan and job description, and then turning around and hiring the people necessary to implement that plan. Plenty of people hire me just so they can ask questions about how they should set up their project, without actually asking me to do anything. This is part of what Upwork is for. 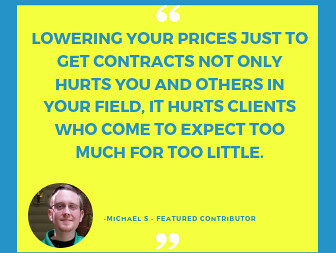 There is no way that any client can get the kind of detailed, carefully-considered project consultation they need by asking Customer Service or the Community Forum, compared to what they could get if they hire a specialist using an actual Upwork contract. A highly cost-effective method for such a situation might be to hire one of the most expensive, most qualified specialists you can find to consult with for just an hour or two, and then use that person's plans to hire less-expensive people for implementing specific aspects of your project. I think that is totally fine, especially if a good project description is provied in the job listing. Sure, but when I hear would-be-clients saying they don't know where to begin but they still want/need/demand a set time and budget, that sets off all kinds of warning bells. I'm all for giving Alex the benefit of the doubt, but I've seen too many clients get their projects off on the wrong foot because they didn't do that initial work. This I agree with 100%. As you've said in other threads, a project manager is needed one way or another. Thanks to everyone who responded! Very helpful. I think I have a clearer idea now of what my next step is.